Manila, Philippines, 11 April 2019 – Philippines’ leading digital services provider PLDT has partnered with global technology leader Cisco to help transform its IP transport infrastructure into a fully automated software defined 5G-ready IP transport network. Under this partnership, PLDT and Cisco will deploy cutting-edge technology to design and build automated, highly reliable, highly scalable, software-defined next generation infrastructure utilising PLDT’s existing fiber network to seamlessly deliver customized digital experiences to customers. This large-scale investment with Cisco is part of PLDT’s broader transport network transformation project, which will be implemented over the next three years. “This investment will raise PLDT’s fiber network to the next level. Today we mark another major milestone in PLDT’s efforts to help the country gear up for the Industrial Revolution 4.0, enabling us to move up to the next generation of digital technologies, such as 5G, software-defined networking (SDN), artificial intelligence and Internet of Things,” said PLDT Chairman Manuel V Pangilinan. “At Cisco, we are committed to working with our customers to transform their infrastructure, so they can unlock growth opportunities as everything becomes connected. PLDT is at the forefront of this transformation and we are proud to partner together to deliver best in class services across the Philippines,” said Chuck Robbins, Chairman and CEO, Cisco. PLDT’s fiber network footprint of over 244,000 kilometres is the country’s most extensive fiber infrastructure. With four cable landing stations linking the country to major international gateways worldwide, PLDT’s fiber network also supports the company’s array of digital services for both its fixed and wireless customers. Under this project, PLDT and Cisco will deploy technologies across PLDT’s network to make it more efficient, more resilient, more scalable, and easier to maintain and repair. The software defined architecture will also enable PLDT to fortify customer services with highly dynamic and agile networking capabilities, as well as cybersecurity to safeguard customer data. “We are building with Cisco one of the most modern transport networks in Asia by maximizing the capabilities of the fiber infrastructure that we have already put in place,” said Joachim Horn, PLDT chief technology and information advisor. The automated architecture of the network will also enable PLDT to manage traffic congestion, minimize network outages, and launch new digital services faster. “With this network transformation program, we can empower enterprises and businesses and address their needs for speed, bandwidth and digital services quickly and seamlessly,” Horn added. Cisco’s Customer Experience team will play a leading role in the end-to-end design, build and deployment of the new infrastructure to extend the network’s reach, reliability and scalability. It will also greatly enhance experiences for PLDT’s customers and lay a solid foundation for 5G rollout. 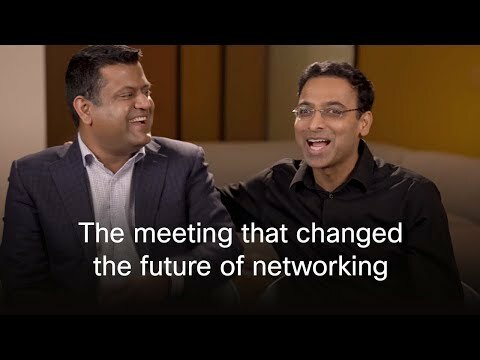 “Cisco and PLDT share a vision for building a modern infrastructure that redefines everyday experiences for businesses and consumers. Our Customer Experience team understands that technology is just one part of the solution and that it is equally important to have the right design, architecture, deployment strategy and support systems in place to ensure the long-term success of a project of this scale. Our partnership with PLDT shows the breadth of Cisco’s capabilities in implementing a fully automated, software-driven network that can serve millions of subscribers, scale rapidly and be ready for 5G,” said Miyuki Suzuki, President Asia Pacific, Japan and China at Cisco. The network transformation project is also part of PLDT’s 5G efforts, as it is also seen to support the Internet of Things (IoT), as well as Smart City initiatives. “This transformation program will not only increase the network’s capacity in anticipation for the upcoming mobile data traffic explosion, it will also make it more intelligent and ready for the deployment of real, standalone 5G,” Horn said. “Through partnerships with global technology leaders like Cisco, we are continuously improving our network to ensure that PLDT remains to be the country’s technology enabler of choice,” said Ernesto R. Alberto, PLDT chief revenue officer. “With a fully automated network, our enterprise customers can expect more tailor-fit digital services that meet their businesses’ specific needs today and in the future,” said Juan Victor Hernandez, senior vice president and head of enterprise for PLDT. Cisco is leading the disruption in the industry with its technology innovations in software-defined networking, 5G, subscriber experience (mobile, cable, fixed), automation, optical and optics. Together with its Customer Experience team of experts, Cisco enables service providers, media and web companies to reduce cost and complexity, helps scale and secure their networks, and grow their revenue. PLDT is the leading telecommunications provider in the Philippines. Through its principal business groups – fixed line and wireless– PLDT offers a wide range of telecommunications services across the Philippines’ most extensive fiber optic backbone and fixed line, and mobile network. PLDT is listed on the Philippine Stock Exchange (PSE: TEL) and its American Depositary Shares are listed on the New York Stock Exchange (NYSE:PHI). PLDT has one of the largest market capitalizations among Philippine listed companies. Further information can be obtained by visiting the web at www.pldt.com.